I introduced my new Monkish Rogue, Cassietetica, in an imaginary conversation with my pure Acrobat Rogue, Allysen. Shortly after writing that post, I recalled my desire to be better at stealth with Ryncletica in terms of diversion. For Ryn, that’s mostly finding a cave wall near what she wants to distract, throwing a shuriken at that point, and waiting for the enemies to go investigate that noise while she sneaks past. For Rogues with Trapmaking ability, the options grow, although it seems that very few players use these options. The reason is simple: DDO is more slanted to party-style, obliterate-everything twitchy gameplay where stealth and related tactics just aren’t done. I play solo often when not enjoying time my guildmates, so this isn’t an issue for me. I realized that I had a special opportunity for Cassie to show how useful she can be as a mine-laying specialist. It’s a fascinating proposal. After playing DDO for a few years now, I’m pretty familiar with what mobs will appear at specific locations of an adventure. Therefore, if I can lay traps for them (while also disabling traps that may exist), I might be able to dish out some incredible area-of-effect damage, clear mobs by the dungeon-load, and effectively loot whole adventures. Now, this also means that a single adventure could turn into a slower return on investment. But I’m not considering this for the speed or even the experience points, but just to see how conniving, how devious a Rogue can be in destroying enemies by hardly raising her weapon. DDO Wiki has a good article on trapmaking that’s the basis for my interest. To make certain traps, you need enough trap parts you scavenge as you disable traps throughout the game. Fair enough. You recycle trap materials to make your own traps. The trap I expect to use most often isn’t quite a trap. It’s a noisemaker. I can set it and, in a few seconds, it makes a sound that should attract enemies to it while I shuffle away in the opposite direction. This is what Ryn would love to have in soloing “The Claw of Vulkoor” to lure scorpions away in the process of completing ting the quest without being detected. However, making traps requires the Trapmaking feat auto-granted to Rogues at level 4, so Monks can’t build or use noisemakers without multiclassing some Rogue levels. The promising news is that such traps come in various degrees of damage, commensurate with the number of parts and other ingredients you have on hand and the Rogue level necessary to set that trap. Better: Rogues can set traps with damage that can’t always be saved against by most mobs, such as Force and Sonic. By level 11, a Rogue should be able to make Force and Sonic mines that have a huge area-of-effect with 50d6 damage. Oh, let me just fill a room with these. Mines auto-deactivate after 2 minutes 30 seconds, so there’s time to lay a nice field of these babies in front of a door or hallway and let the bastards stumble through. But you can see the challenge here, however. You need parts to make traps. Lots and lots and lots of parts. That’s going to take a lot of quest grinding where traps are abundant. Thankfully, DDO provides me with many places to farm for the Force and Sonic parts I’d like, as well as mechanical parts. To help in parts farming, I can make Cassie a Rogue Mechanic. She’ll has a better shot of gathering more parts per disabled trap. They also get better DCs to use them, increasing the likelihood that enemies will suffer greatly for her skills. But I also wanted to add Ninja Spy I to Cassie, too. I didn’t realize that you can select more than one Prestige Enhancement on a multiclassed character: 1 Prestige per class, not character. So, it should be possible to add Rogue Mechanic I and Mechanic II to Cassie to improve her trapmaking and trap-laying skills. 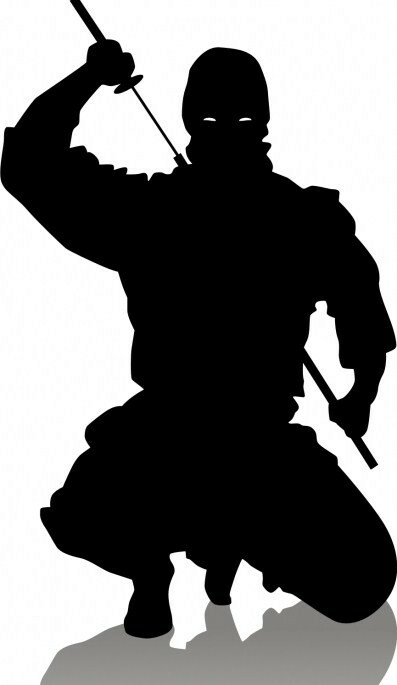 Additionally, I can add a little Ninja training for shortsword ability and Shadow Fade (ki-powered invisibility/incorporeality) to have a Rogue 14/Monk 6. Shadowdancer Epic Destiny will be perfect for her later, and she’ll have enough Monk levels for Grandmaster of Flowers training, too. But can I swing all the Mechanic enhancement prerequisites (I’ll need them anyway to compensate for lost Rogue skill points from the Monk levels) as well as the Ninja Spy I prerequisites? It’s a lot to do. I reset my enhancements a day or so ago to try out the possibilities and started picking. The enhancements work out just fine for both Prestiges with a few points to spare. It’s a good question. I’d still gain some parts, but going full Mechanic doubles the chance for more trap parts versus an ordinary Rogue. She’ll also set traps (and detonation packs) faster than others. Setting traps for this build is just as important as disabling them. Going Mechanic also leaves me an emergency ranged option as well, using repeating crossbows. An Assassin build does sound tempting, yes. But somehow I see Cassie as less…temperamental than other Rogues. Must be that monastic training. She kills because she has to do so, not because she wants to do so. Still, if I wanted to go down that grim, woefully powerful road, it’s just a matter of resetting enhancements. 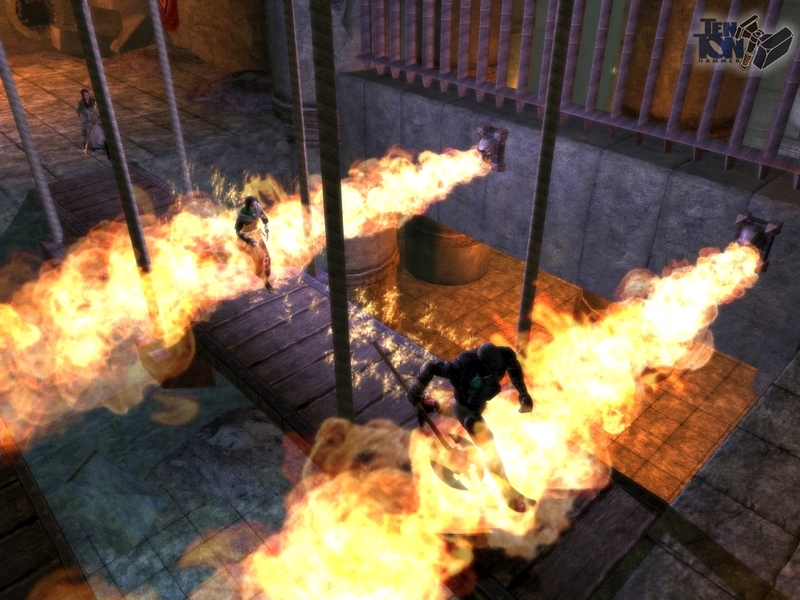 Honestly–there is plenty of slaying in DDO. Somehow, I’ve never been that bloodthirsty. I’m more of a fan of counting coup. It”s something that Ryncletica does a lot. She gains personal favor in defeating her enemies by circumventing every defense they have to complete an objective. Rather than obliterating an enemy’s army, Ryncletica obliterates their honor. Ryn and Cassie rarely start fights, but they will always finish them. Cassie’s stats are going to be difficult. Normally, WIS is a dump stat for a Rogue. But she’ll need a bit to make her Monk DCs work and her ki to be sufficient for attacks. She’ll certainly have high concentration on her DEX for AC and reflex saves but needs good Fortitude and Will saves, too. She can’t rely on her stuns. She won’t gain Abundant Step, so somersaulting to get to trap control boxes will require awesome saves. Thus, Dodge/Incorporeality/Concealment numbers will be essential. STR is also vital; that’s why Allysen has weak DPS. Cassie, by hook or crook, needs a minimum 24 STR by level 20, I think. So, there you have it. A Rogue with dark Monk fighting skills, who is also a Ninja and trapmaster. Stay tuned. This is going to be a fun build to generate. I need to think of a good build name, however. “Ninja Trapmaster” doesn’t quite roll off the tongue. In related fun, TenTonHammer has an older but well-written article on why DDO Rogues are true Rogues in comparison to other MMO games.